Reading Time: 3 minutes During the Dell Technologies World, in Las Vegas from April 30 to May 1st, there will be a special Networking Field Day event with VMware on the NSX (of course considering the network topic). For more information see the Networking Field Day Exclusive with VMware event page. Reading Time: 2 minutes The Dell World event has been renamed last year in DellEMC World and was very very huge. But this year will be probably bigger. And this year the event name has changed again in Dell Technologies World to match the big company that has become Dell. So not only Dell and EMC, but also VMware and all the other companies in the group. Reading Time: 2 minutes Unitrends has announced the release of a new backup solution, targeted for VMware environments, called VM Backup Essentials (vBE) and designed (and priced) for SMB use cases. The vBE product converges enterprise-grade virtual backup software, ransomware detection, and fully integrated cloud storage options (with WAN acceleration) into a powerful, easy-to-use product that is aggressively priced at $105 per socket per year, with a subscription model, but with a version full options. Reading Time: 2 minutes Puppet eliminates manual work from your infrastructure management and software delivery process so you can more quickly deliver great software securely and on demand. Their main product is Puppet Enterprise that gives you and all your IT teams a common language they can use to successfully adopt DevOps practices, such as version control, code review, automated testing, continuous integration and automated deployment. But now Puppet has announced another product: Puppet Discovery. In this way Puppet expand its product portfolio and accelerate customers’ journey to pervasive automation. 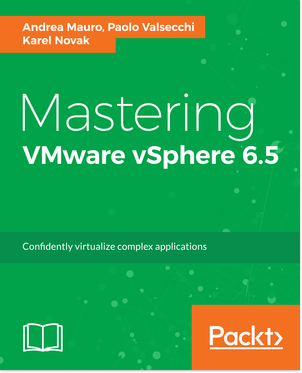 Reading Time: 4 minutes The new VMware vSphere 6.7, recently available in GA, increase all configuration maximums to new limits (compared to the v6.5 and previous versions). Maybe we can say with no limit, or at least, to be serious, with really huge numbers compared to the actual needs and the existing compunting power. Those new limits are both for scalability aspect, but also to fit with possible performance requirements, considering that a bigger number of business critical applications are going in the virtual environment. Reading Time: 2 minutes Docker has announced Docker Enterprise Edition (EE) 2.0, the enterprise-ready container platform to manage and secure applications on Kubernetes in multi-Linux, multi-OS and multi-cloud customer environments. Docker EE provides organizations with unparalleled choice – from orchestration (Kubernetes and Swarm) to applications (legacy or cloud native) to infrastructure (cloud or on premises) – enabling IT leaders to advance their digital and cloud initiatives with the flexibility needed to make adjustments as business requirements evolve. Reading Time: 3 minutes Virtual Instruments has announced the availability of integrations with Cisco SAN Telemetry Streaming and AppDynamics’ application intelligence platform with VirtualWisdom 5.6, the latest version of one of the industry’s most comprehensive infrastructure performance monitoring and analytics platforms. In October 2017, Virtual Instruments has announced an innovative technology integration with Cisco to dramatically simplify and lower the cost of real-time performance and availability monitoring for business-critical infrastructures. Now available, the integration of Cisco SAN Telemetry Streaming with VirtualWisdom eliminates the requirement to deploy physical network TAPs and probes. 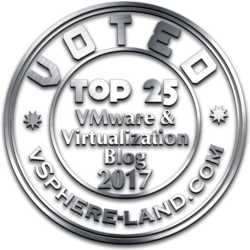 Reading Time: 5 minutes Just one year ago, VMware has announced vSAN 6.6… now it’s the turn of vSAN 6.7, contextually of the release of vSphere 6.7 GA. VMware vSAN is the VMware’s Software Defined Storage (SDS) solution that also fits in the hyper(visor)-converged model to build a simple (to be managed) and scalable HCI solution. Although is a separate product, the core functions to implement it are already present in the vSphere versions making really easy to deploy and enable it. 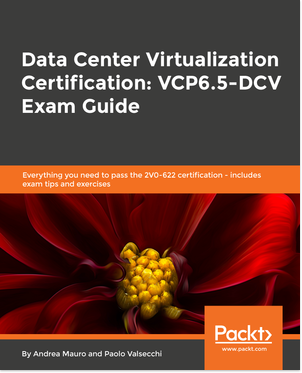 Reading Time: 5 minutes VMware has just released the new version of vSphere 6.7 that includes ESXi 6.7 and vCenter Server 6.7, and, of course, it’s the foundation for vSAN 6.7! There are several news, improvements and new features. Most are well described in the vSphere 7.6 launch page.